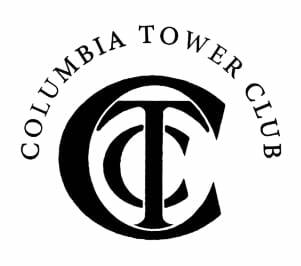 The March Changemaker Chat at the Columbia Tower Club not only had a beautiful view, but a room filled with energetic women on their way to changing the world! Our speaker, Jennifer Cohen, Director of Athletics at the University of Washington, shared her energy, insights and many truths that will surely resonate with all who attended for a long time to come. If you couldn’t make it, here are some of our favorite highlights below. Mark your calendars and RSVP here, for our next Chat on May 14 featuring an incredible lineup of 4 female Changemakers. This will be a special edition panel Chat hosted by the Women of Marketing and Consumer Business at Microsoft at Microsoft HQ in Redmond, WA. Sports taught Jen about leadership, teamwork, collaboration, process and inspiring those around her. When Jen took the job, she found that she needed to prepare for the pressure and visibility of the role. To do it, she managed and controlled the challenges by being passionate and thoughtful in her work, and by being herself. As a new leader of her organization, she learned that aligning on purpose is the best way to create positive change. Sometimes we get caught with the outcomes that we forget about working together. The book “The Advantage” by Patrick Lencioni has helped Jen define her framework for creating organizational change: why do you exist, how do you behave, what are the anchors for success, what is most important for your organization in the next six months, and who is going to do what? Once comfortable answering these questions, Jen was able to build a great team. Jen knows that it’s a continuous process to try to be better. To manage all this, she works every day on different routines, to meditate, do breathing techniques, focus on positive content. The book by Julia Cameron “The artist’s way” about creativity and having a fuller life, has been a key influence. Jen’s guiding principle is to lead with love and to connect, which gives us all the ability to rise. The second is compassion for herself so she can be more compassionate with other people. Also, to remember to play, to breathe, do yoga, be with others that you care about, and to try new things. We are all born to give gifts to make the world better. Equality means that everyone has equal opportunity to make the world a better place, and we have to embrace differences to allow that for not only ourselves but for everyone. 1) There is no end game. 2) She wish she knew that it was going to be that hard. 3) Not everything is going to be perfect.